Will spraying DemonWP on outside cedar trim and siding cause any discoloration? Trying to keep Asian Lady Beetles out of our house. The cedar trim is stained with solid color stain. 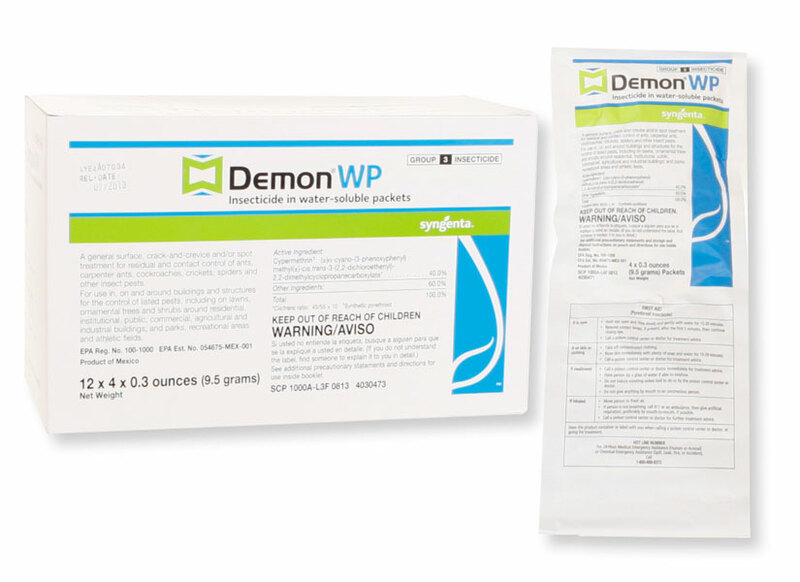 Demon WP is a wettable (W) powder (P). It basically is a powdered insecticide that mixes in water. After it is sprayed and it dries, it can leave a fine powdery residue. It usually will not stain or discolor. Normally, if you can see the powder it can be be either swept off or washed off. The Demon WP particules can get into the cells or pores of the wood and be difficult to remove. So my answer is that I would test an area before spraying the entire home and see if the residue is tolerable. If not, consider using a conventional concentrated insecticide. Onslaught Fastcap is a great product that should not leave much of a stain.